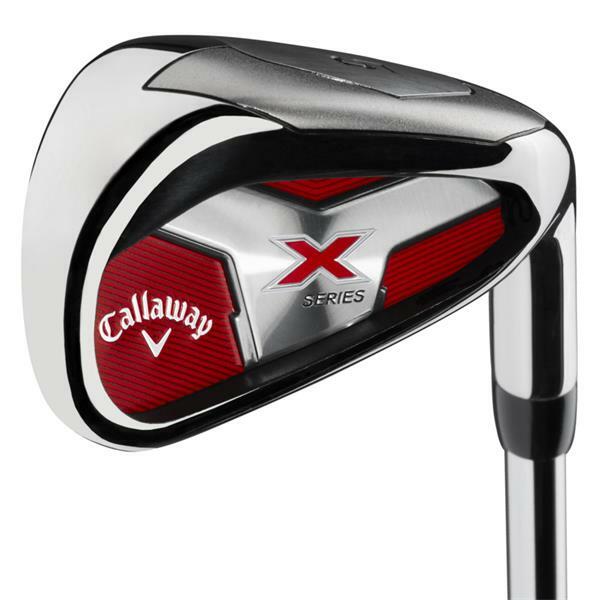 The X Series Irons are long and have forgiveness for consistent shots across the face. The X Series Irons are long and have forgiveness for consistent shots across the face. They have the feel and sound designed to help your game. Callaway have stuck with their tried and tested oversize head design. It features a thicker top line, deep undercut cavity and a face that will provide incredible speeds for improved distance. A set of Callaway X Series Irons comprises of 7 clubs (5-SW) and each and every iron is designed to perform and provide the perfect combination of flight, distance and forgiveness without sacrificing precision. To make it easier to swing and launch the ball Callaway have fitted a lightweight True Temper steel shaft.